2014 has been another decent year for Kevin McKay's Glasgow Underground imprint; the label has seen decent chart successes from a line-up of established artists, numerous radio plays on Radio 1 and releases have gained hype and support from creditable DJs in the scene. 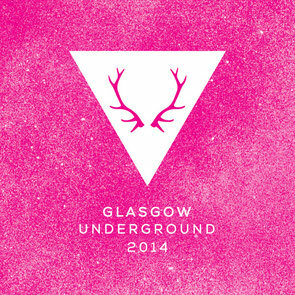 'Glasgow Underground 2014' brings you the ultimate round-up of the best releases from the year, featuring 32 full length tracks from Romanthony, Claptone, Grum, Illyus & Barrientos, Gerd, Dixon, Brett Gould, Kevin McKay, Metodi Hristov, Andre Crom, Motor City Drum Ensemble, Daniel Trim, Christian Nielsen, Sei A, PBR Streetgang & many more. There’s also two DJ mixes from label boss Kevin McKay which take you on a journey through the best in underground House. The album features an array of sounds from GU favourites and newcomers alike, with a soundtrack covering everything from tech house, house, deep house, indie dance and nu disco. It’s out Monday 1 December, check out the trailer below.